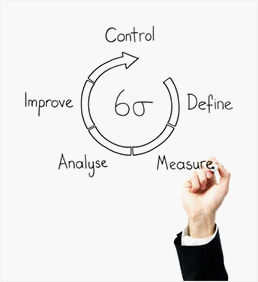 Following the methodical DMAIC (Define-Measure-Analyze-Improve-Control) roadmap, you will learn to determine problems and inadequacies, to collect and analyse performance information, identify the underlying cause of the problems and introduce new procedures to improve the processes. More importantly, this training course has an applied and practical focus based on real world case studies and group interactions. 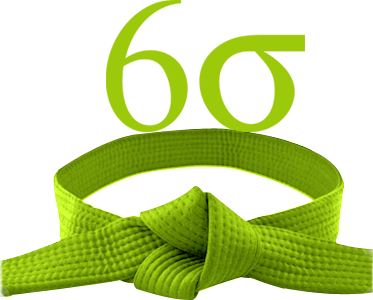 Lean Six Sigma Green Belt participants will obtain formal certification from PD Training/IASSC when they pass the final exam. The Malaysia's best Lean Six Sigma Green Belt Training courses run by LSS experts are available in Kuala Lumpur and Malaysia. The PD Training materials are much more than simple ‘tools training’. This curriculum is formatted in such a way that the problem-solving strategy is demonstrated throughout the course. By utilizing various Statistical and Business Improvement tools, participants can clearly see and communicate the flow and process of the methodology in order to instill both the tactical and strategic aspects of the LSS Green Belt skill set. The implementation roadmaps within each phase provide a clear line-of-sight for putting into practice the problem solving technology. These very training materials are the industry standard used by thousands of industry trainers, coaches and mentors to train Lean Six Sigma Green Belts around the world.